What is this high impact exercise? How do you do this vocal exercise? Listen (below) to the demonstration of this vocal technique. Practice it. And enjoy yourself as your voice improves dramatically after just a few minutes of work! If you practice the simple exercise (demonstrated in this report) consistently at 10 minutes per day for a two week period, you will experience an increase in vocal range of at least 8 extra notes. Consistent practice of this exercise over a longer period, and the rewards will be far greater. Would you like to know how it feels to sing much higher notes than you can sing now? And would you like to drastically improve your vocal technique, so your voice flows much more smoothly? If so, follow through with the exercise described on this page, and you will take your voice well beyond it’s current limitations. What Is This "High Impact" Exercise? Let me introduce you to the exercise. It’s called the lip roll, and it takes the place of thousands of other “more traditional” vocal exercises. As simple as it is to do, this exercise is pure genius, and it gets better results than almost all other vocal exercises. The reason that this exercise is so effective is it teaches your vocal chords to make “more advanced” vocal coordination’s. It does this by training your most important singing muscles ---your “inner larynx muscles”. These are the muscles that sit next to, and coordinate your vocal chords. By teaching these muscles to form more advanced vocal coordination’s you will be able to extend your range by many notes, as you will easily discover a pathway into your upper vocal registers. Quite simply, your vocal technique will advance in leaps and bounds... If you’re not sure about your vocal registers, here’s a quick example that will allow you to understand what vocal registers exist and what they sound like. Hit play below to hear an example of chest voice. Also, for to watch a video that explains chest voice further, click here. This vocal register forms the lowest part of your vocal range. As you can hear, it has a thick, rich tone quality. This “middle” vocal register is the one you need to develop to hit high, powerful notes. When you are singing in your “mixed voice” your vocal chords have “zipped up”, so less of you vocal chord is free to vibrate. Because there is less vocal chord vibrating, it is easy for the chords to vibrate much faster and easily produce much higher notes with no strain. The “lip roll” exercise will help you to discover how to get into your mixed vocal register, because it automatically trains your vocal chords to “zip up” as you sing higher. And it also balances your resonance, which in your mixed voice is split with half in your mouth and half in your head. Hit play below to hear a demonstration of head voice. A more “classical” sounding vocal register. The head voice is also sung on a “zipped up” vocal chord (which will become second nature when you practice the vocal technique exercise described on this page), however there is more sound resonating in the head. This is why your head voice has a very sweet, operatic type tone. Practicing the lip roll often will allow you to become intimate with all three vocal registers, and also smooth the transition as you move from register to register. The other important function of the lip roll is it releases your voice from all vocal tension. The muscles that sit outside your voice box are known as your “outer larynx muscles”. These muscles are for swallowing food. And while swallowing food is very important, engaging these muscles while singing is not helpful for your vocal technique! The lip roll exercise that you are about to learn, completely dis-engages these muscles while you are singing. Once your voice is isolated from these troublesome swallowing muscles, you are free to sing easily and effortlessly. In fact, when you completely disengage these muscles, singing is as easy as talking. The exercises you’re about to learn does numerous other amazing things for your vocal technique, such as balancing out your breathing… automatically balances your resonance, and more. I won’t go into detail as to how many positive changes this exercise makes, as I’d rather you hear the difference this exercise makes in your own vocal technique. How Do You Do This Vocal Technique? The lip roll involves lifting up each side of your cheeks to take the weight of the loose skin from around the lips. Do this now as illustrated in the photo below. Once you have this posture, blow through your lips as you would after a long days work. Like this! You will notice that this makes a strange noise, almost like that of a horse! Good. Now, the next step is to make a slightly dopey “AHHHH” sound. It needs to be dopey because this sound will gently push down on your larynx (your voice box), which will keep your voice clear of your swallowing muscles interfering in the process and causing vocal tension. Here’s an example of the "AHHH" sound you must make. Now, combine the dopey “AH” with the “holding the skin around the lips” posture. Here’s the resulting sound that you will get. That is the lip roll. Using your lips to balance out the excess air pressure while dis-engaging your swallowing muscles from the singing process. Simple right? Almost deceptively simple. As you are about to discover that this simple and even silly noise will cause transformations in your voice that no other exercise can create. In a moment, I will guide you through some scales so you can feel the full effect of this highly effective exercise. And now we will begin performing this voice changing exercise on some easy scales. You will find yourself reaching parts of your voice that you never knew existed in the following vocal technique exercise. Just "lip roll" along to this scale as best as you can. Don't try and hit the notes with absolute accuracy. The other way of practicing this vocal technique exercise is to select a song that you have trouble with, and replace the words with the sound of the lip roll. This method is much more fun, and a very good practice to undertake. Please note though, that at first, sustaining a note for a long period may seem difficult. It takes time practicing this exercise to develop the balance in your voice to sustain notes that you previously couldn’t hit. If this is occurring, go back to the scale version of the exercise and practice that 2 or 3 times. Then try the song again and enjoy the progress that has been made. If you have enjoyed the major advancements that are inevitable with this powerful exercise, get excited, because you’ve only just begun. There are many more exercises that can make just as profound an effect on your voice. It’s at this point that I must refer you to a vocal resource that includes all of the vocal exercises that are capable of molding you into a powerhouse vocalist. If you thought the lip roll had a profound effect on your voice, wait until you combine it with the vocal technique training in this program. Before long you will be able to switch on the radio and feel confident that you could nail any song playing. 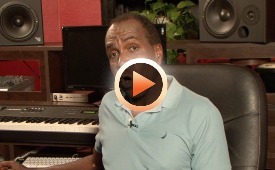 Click here now and investigate this vocal technique training now. In just a few short months of this training you won’t believe (but you will love) the staggering changes that will occur in your voice. No other vocal technique training has made even close to the impact that this has had on my voice. This vocal technique training shows you how to use the lip roll in many other highly effective ways as well as adding many more very powerful exercises into the mix. By the end of this training, it will be like you’ve acquired a new and better voice! Learn more about this highly effective vocal technique training.